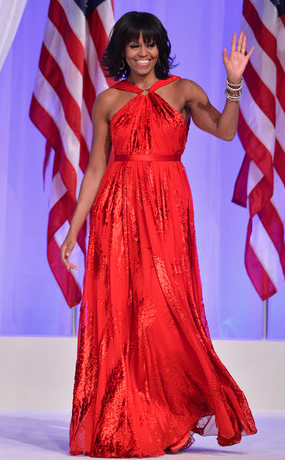 At tonight’s Presidential Inaugural Ball, Michelle Obama wore a custom made gown by Jason Wu. 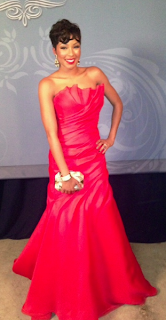 The engine red gown is one of the biggest trends at the recent Golden Globes. The leaf print halter gown made the first lady look young and fresh. She accessorized her ensemble with Kimberly McDonald jewels. I am so proud of my dear friend Kimberly for all her achievements. On the other hand, E! News correspondent Alicia Quarles was also on trend. She wore a strapless red gown from Rivini Haute Couture. She accessorized her look with jewels from Kenneth Jay Lane and Kara Ross. Her mother-of-pearl RAFE clutch completed the whole look. I am so proud of my client Alicia. Spring isn’t near, but I am dreaming of Burberry Prorsum’s Fall 2013 collection. Last season, Christopher Bailey showcased an acid and bright collection for the house. This season, he went back to basics. The house of Burberry is known for well-tailored clothes. 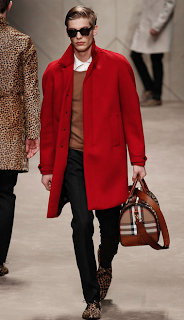 He used the signature plaid in camel, red, and black. 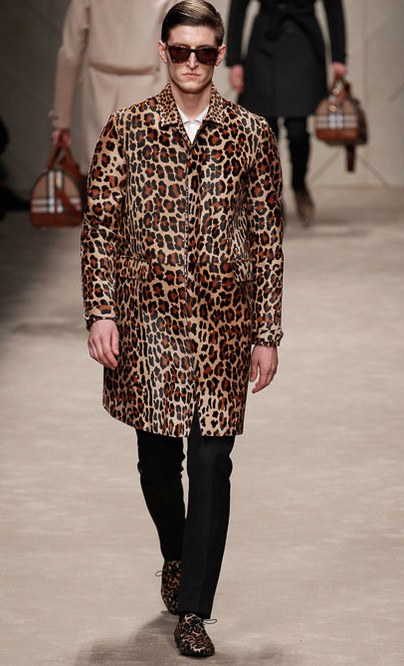 The collection became a bit edgy when he used animal prints for coats, shoes, sunglasses, and accessories. In addition to that, the fun side of Christopher came out in this collection. 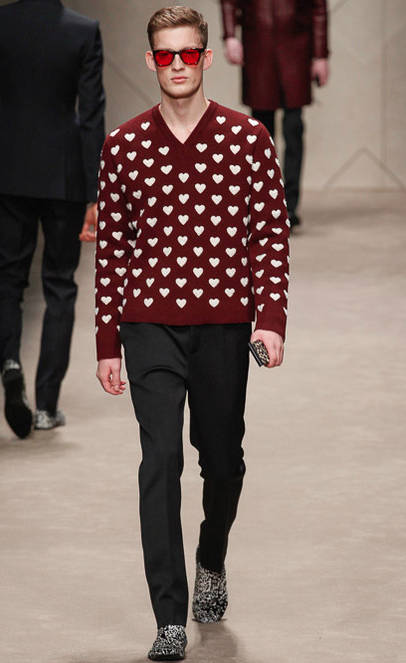 He used hearts as prints for buttoned down shirts and sweaters. 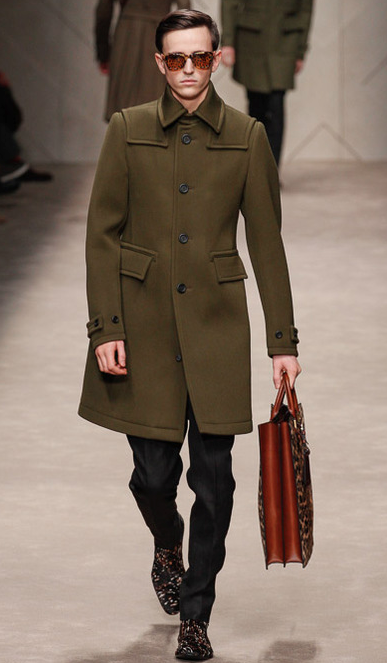 Shades of army green, camel, red, and black were the dominant colors for Fall 2013. 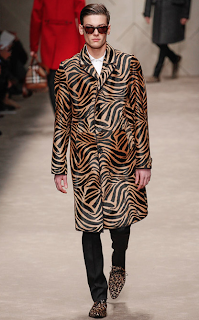 My favorite look of the collection is the animal print coat. Overall, the collection is strong. It was the best decision of the house to have Christopher Bailey on board. 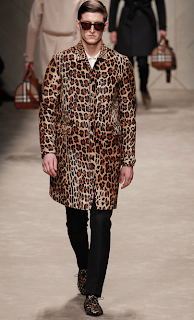 He is making a mark in the fashion industry. 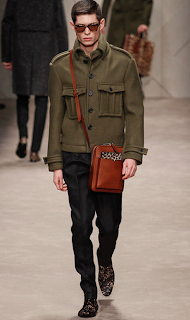 It is one of the most anticipated collections for Fall 2013. A job well done.